In the continuation of Scoliosis awareness month, this post is mainly on how I manage to control the pain in various ways. With my curved spine, my pain is sporadic. Yes, I do have my typical areas where it does happen, but there are areas where I am like “Ummm really?” But since I am a veteran with Scoliosis, I know what to do with the pain before it gets worse. To start off, I do not take any pain medications for my pain. I used to, but they made me groggy and I would throw up constantly so I would just not take them. But as I’ve said in the past, sometimes the slightest movement will aggravate my back. The first thing I go get is my KT Tape Recovery Kit. It’s has a pocket to put the ice pack in and has adjustable straps so you can wear anywhere on your back or body and be hands-free. It also comes with a heat pack that you can toss in the microwave so you can alternate with the ice pack for swelling. It’s the perfect recovery kit for pain anywhere in conjunction to Scoliosis. I believe ice has been the best reliever, but I also believe that KT Tape has amazing healing powers. While the tape isn’t medicated, it does serve a purpose. When it is applied correctly, it lifts the skin, decompressing the layers of the fascia and allowing for better movement and blood flow to the muscles, thus a quicker and better recovery. Different KT Tape applications for my Scoliosis chronic pain and swelling. 2 things to keep in mind….I get these questions A LOT 1-Do I make up my own apps, partly yes because my AMAZING physical therapist is teaching me SOOOO much but that partly part is a tiny, tiny part. He is the only one who has believed in me(in the physical therapy world) and has actually helped. Joe, who is THE MASTER KT Tape instructor, has personally taught my husband and I the proper ways for taping. Therefore, the moment I get taped up, my pain immediately goes away. 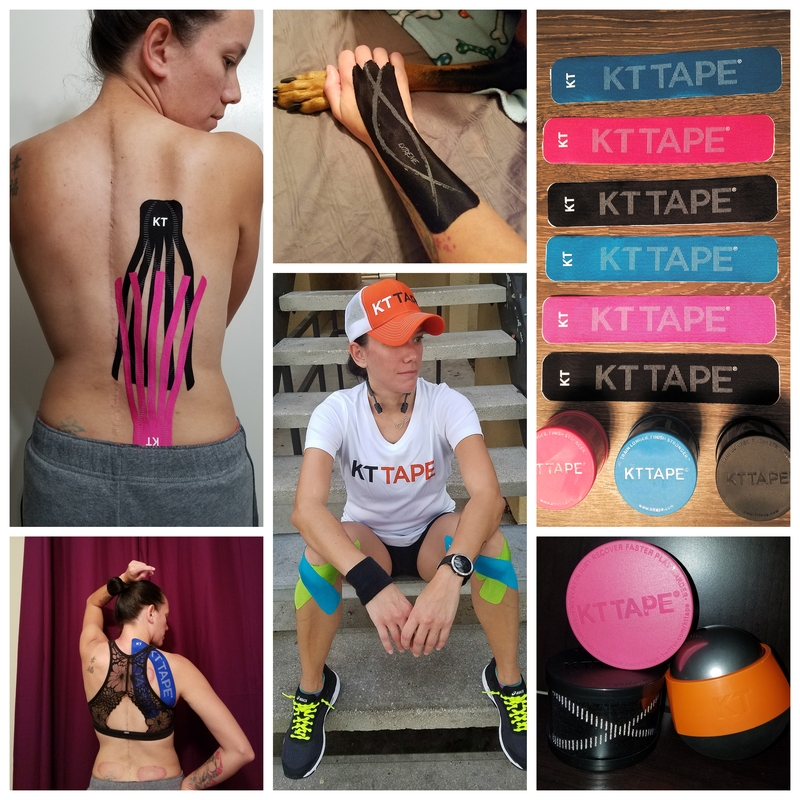 And secondly, and probably the most asked question I get in emails I get is, “What is the KT Tape application for Scoliosis?” There is no one application for Scoliosis because all Scoliosis are different. No two curves are alike and every pain is different. It all depends where you have the pain and where the curve is headed. I have no problem giving you the correct application for it. Ask me all the questions in the world. That is what I am here for. That is why I started the blog, to help others. I don’t want you all to feel alone. Know that you won’t be bothering me and I know what are going through, trust me =) I have developed lots of relationships with some of you because of these questions and it turned into “me too!” So know that you aren’t alone in this Scoliosis battle! is this still an active feed? Previous Previous post: What does running mean to YOU?